This is just a no brainer of a post for me. I grew up in Minnesota, where we are practically bred on beer. When I didn't know any better, I drank Coors...I now drink Stella Artois. When I heard that the Belgian beer makers had officially announced a partnership with Water.org at the Sundance Film Festival in January, I literally jumped out of my chair. Women in developing countries spend a combined 200 million hours a day walking for miles to collect clean water for their families. To raise awareness of this issue and to help provide solutions, Stella Artois has launched its first global social impact campaign, “Buy a Lady a Drink." With the support of Water.org and its co-founders Matt Damon and Gary White, “Buy a Lady a Drink” aims to help put a stop to this global water crisis. These entities have come together to tell the stories of women around the world who take these long journeys for water. The stories focus on what it is like to live without water...and the betterment of life with it. All videos currently take place in India. 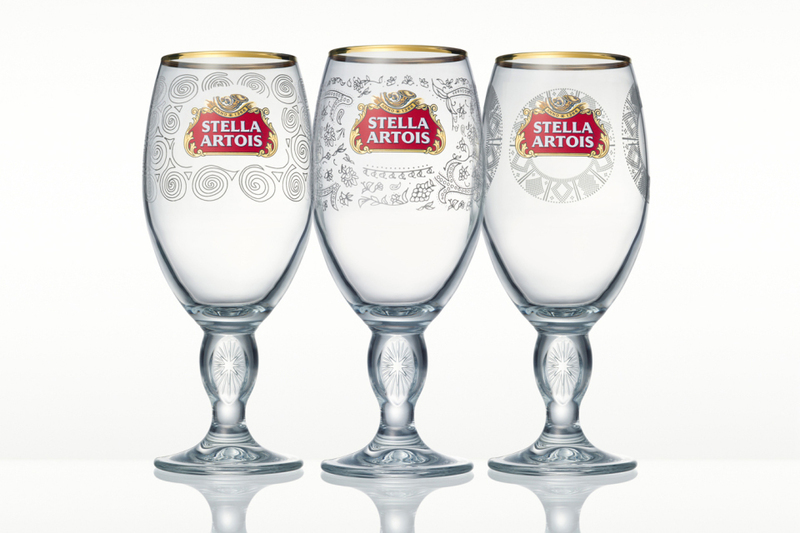 However, you can buy a limited edition Stella beer chalice with patterns that represent India, Ethiopia or Honduras. For every chalice you buy, Stella gives an extra $6.25 to Water.org - enough to provide one person clean water for five years. Stella has made an outstanding $1.2 million donation to Water.org to date. Love this partnership. Totally Smitten.